Sondra Radvanovsky has decided to undertake the challenge of olympic heights by creating complete story of Tudor queens in one season at The Met. The comparison of athletic challenge is so appropriate when you think about all the components and time and effort investment required to get prepared for such project: vocal technique and stamina, and psychological readiness to perish in the flames of emotions and to be reborn phoenix- like next morning to move on for another performance which again will absorb you completely while leaving noticeable impression in the hearts and minds of the audience. This is what happened to me watching one of the first performances of Anna Bolena at The Met on October 1st. This was one of those few performances that take you by surprise and keeps lingering for a long time, so rare chance to experience true art and real fascination which can be achieved only by opera. 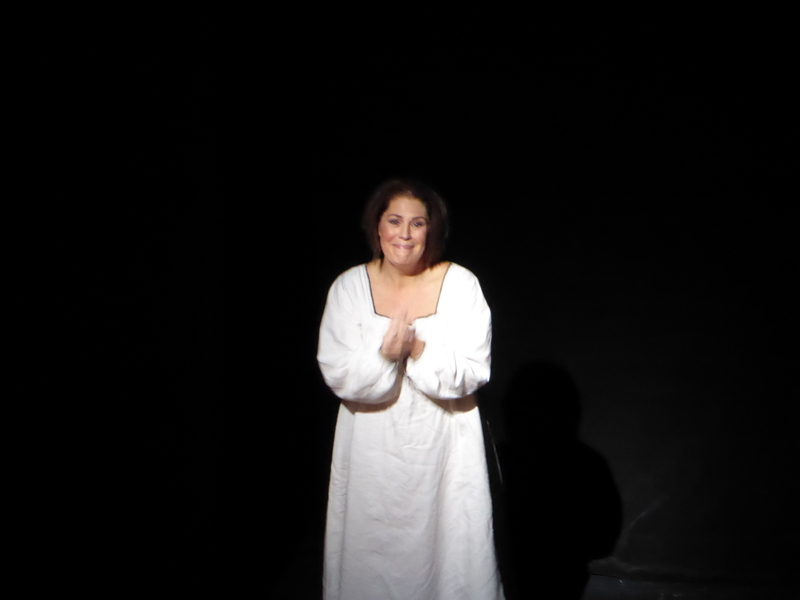 Anna Bolena, queen and feminine and fragile human being was among us, experiencing internal conflict, love, insecurity and madness, and Sondra sang and acted as being actual impersonation of the character. Jamie Barton as Giovanna Seymour was convincing and torn by contradicting emotions, clearly painting evergoing conflict of ambition, infatuation and loyalty. Her vocal strength and arsenal of tools is impressive, she is actually one of the bright rising stars, it was a pleasure to watch and hear her in this live performance. Ildar Abdrazakov delivered the king Enrico VIII at its best, being arrogant, masculine, dominating, and balancing his private, softer side in contrast with public appearances just with his voice – immensely enjoyed his acting and impeccable singing. 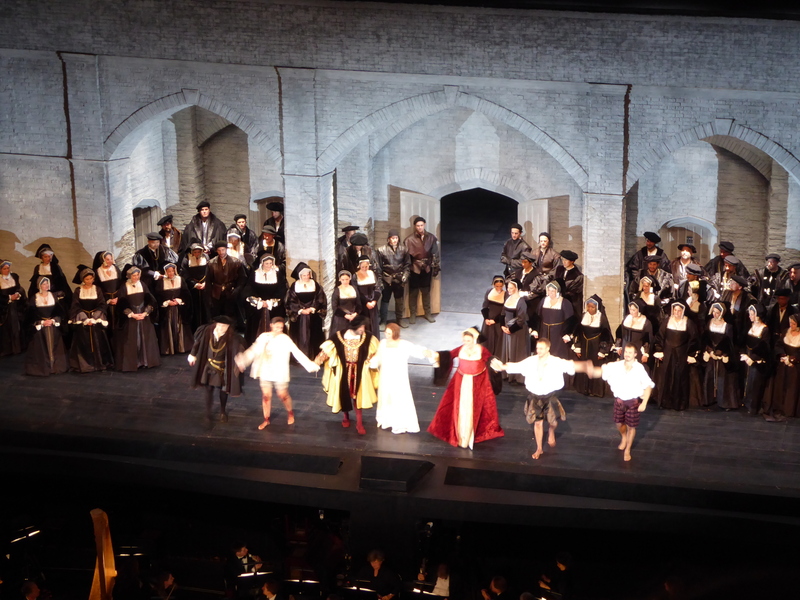 Tamara Mumford delivered artistically and vocally impressive performance, and Taylor Stayton as Lord Percy was interesting discovery regardless of slow and cautious beginning of the performance. Sets though minimalistic, achieved highest purpose, supporting the theme of each act and providing just needed hints to create spark of imagination to complete the picture. 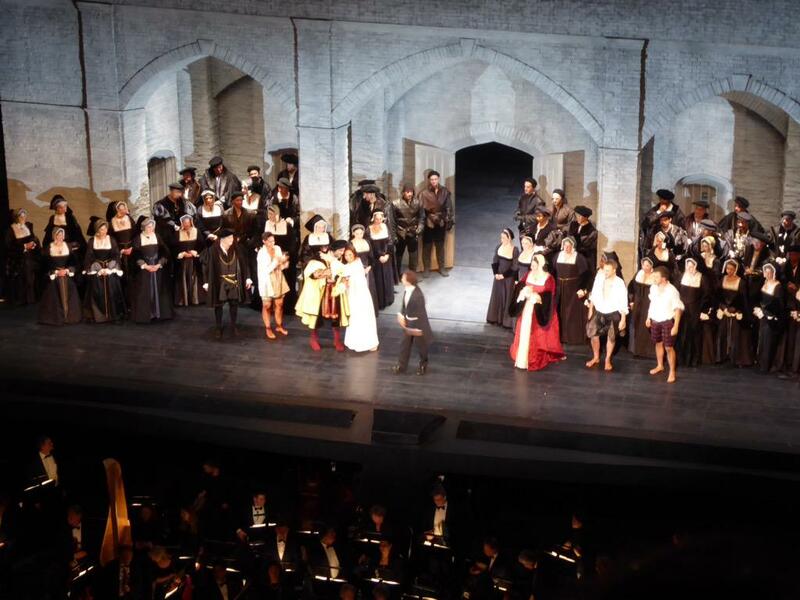 Overall dark and colourless, with costumes being the brightest accents, and transporting audience into the era of Enrico VIII. 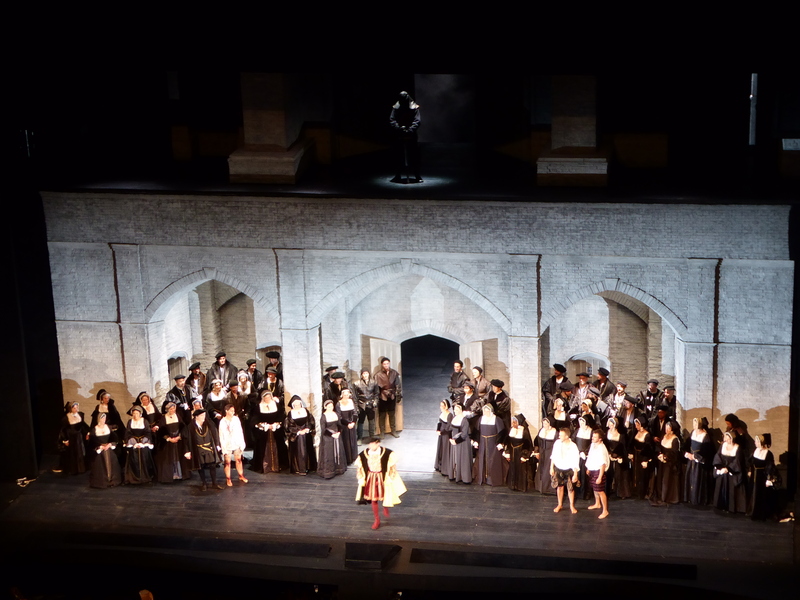 Actually one of the most surprising and impressive findings was set of the final scene, bringing all the audience with Anna Bolena into basement and then taking into focus her executioner patiently waiting in the circle of light just upstairs – in complete silence (and staying there through whole curtain call!). The production of Sir McVicar combines the best from both staging and direction to create engaging and thrilling performance. Orchestra played lively and colorful, Maestro Armiliato balanced it so well with singers to keep them all the time on the front line, no shadowing by rich orchestral sound, delicate and intelligent. As the cream on the cake was nice and pleasant meeting with the cast and Maestro at the stage door. Brought some chocolates from Riga to @sasherka, who shared those with Sondra and Jamie, pity did not bring over some more to support great artists after fascinating show. Superb cast, thrilling performance, opera art at its finest and must to see production if you have chance to be there! Now, eagerly looking forward to both Maria Stuarda and Roberto Deveraux to follow on the royal challenge undertaken by great Sondra Radvanovsky!